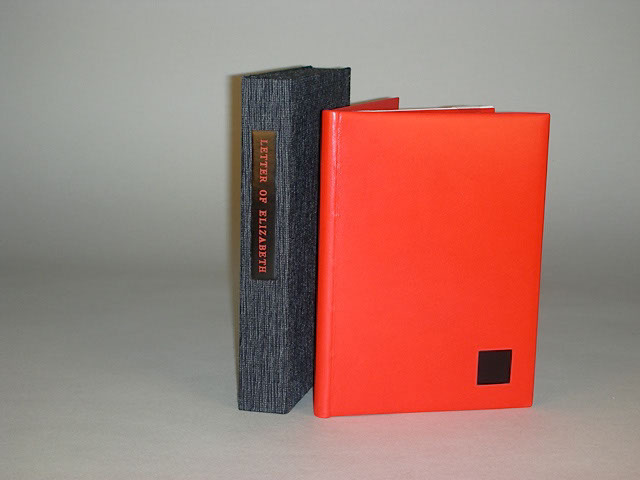 I won the drawing for the book I wanted in the InsideOUT exhibit: Cathy Adelman‘s binding of The Bicycle Diaries, text by Richard Goodman, color wood engravings by Gaylord Schanilec, published by Midnight Paper Sales, 2011. Everything about it is right for me: American binder, American press, American artist, meaningful New York topic, and drop-dead gorgeous binding. Plus, my husband is an avid cyclist. 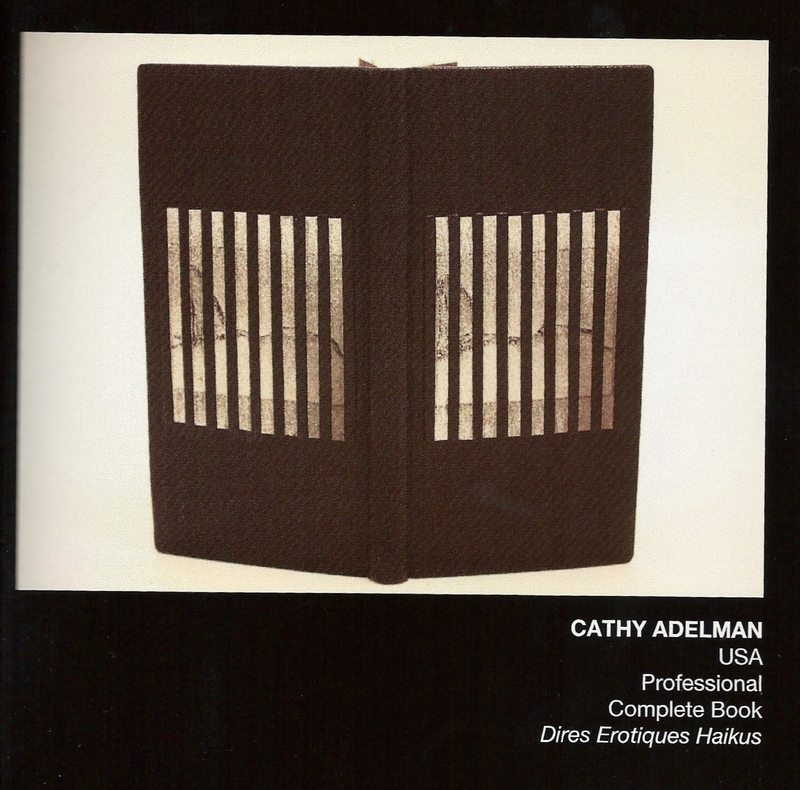 In celebration of my first acquisition (commissions not yet delivered don’t count), we are going to have a little Cathy Adelman fest. Make sure you take a look at her stunning portfolio on her website as well. I’m hoping to avoid duplication. 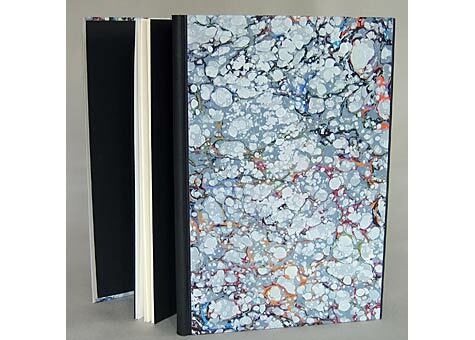 Multi-colored silk endbands, marbled end sheets, graphite edges. Covered in full black oasis goatskin with leather hinges. Onlays of variously colored leathers. Blind tooled, title tooled in gold. Created by Richard Taylor, Kentucky’s former poet laureate, and Gray Zeitz, letterpress printer and publisher of Larkspur Press. Wood engravings by Canadian artist Wesley Bates. Minnesota Guild of Book Workers exhibit 2002. 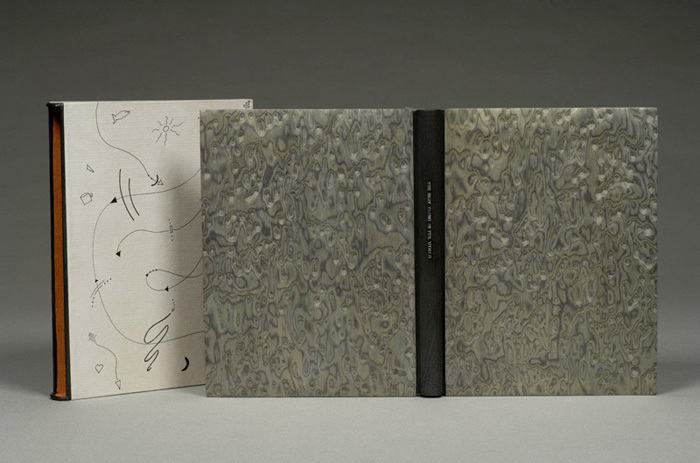 Oasis goatskin binding with raised bands, blind and gold tooling, silk endbands, graphite edge; matching chemise and slipcase; marbled paper by Karli Frigge. 26.5 x 19 x 3 cm. Franz Kafka, Josephine the Singer, Press Intermezzo. 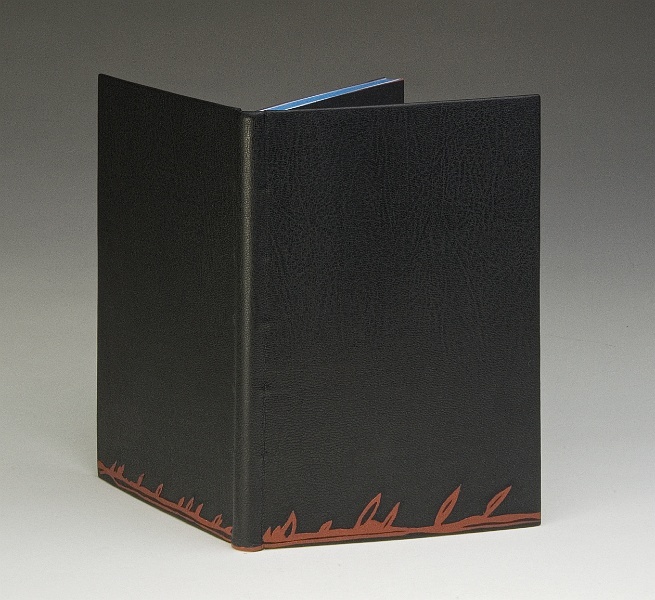 This millimeter binding is covered in paper designed by the binder, with leather trim at the head and tail of spine. 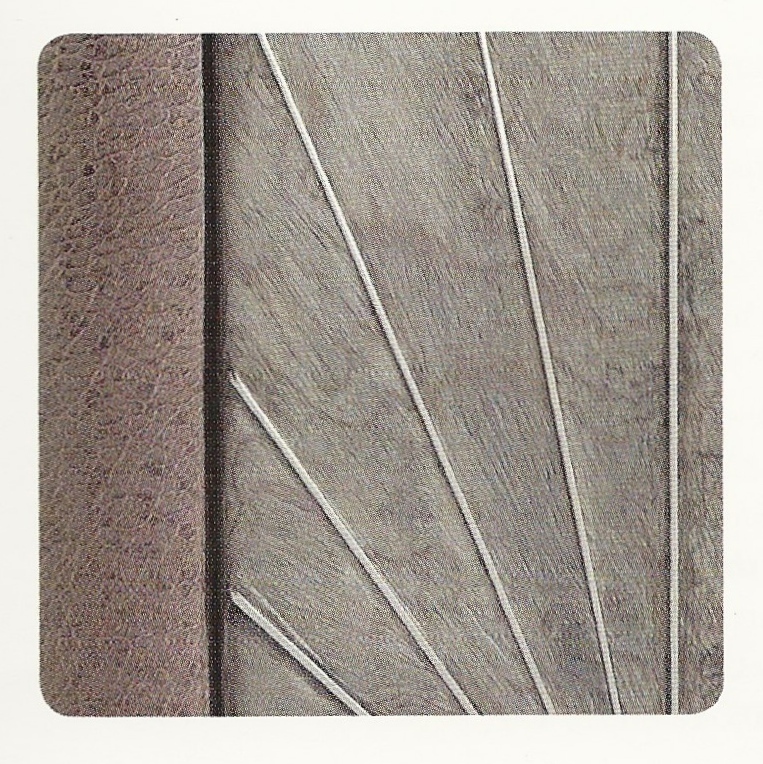 Leather endbands, graphite edge, leather label, titled with foil. 20cm x 16 x 1cm. Estonian children, The Best Thing in the World, 2005. 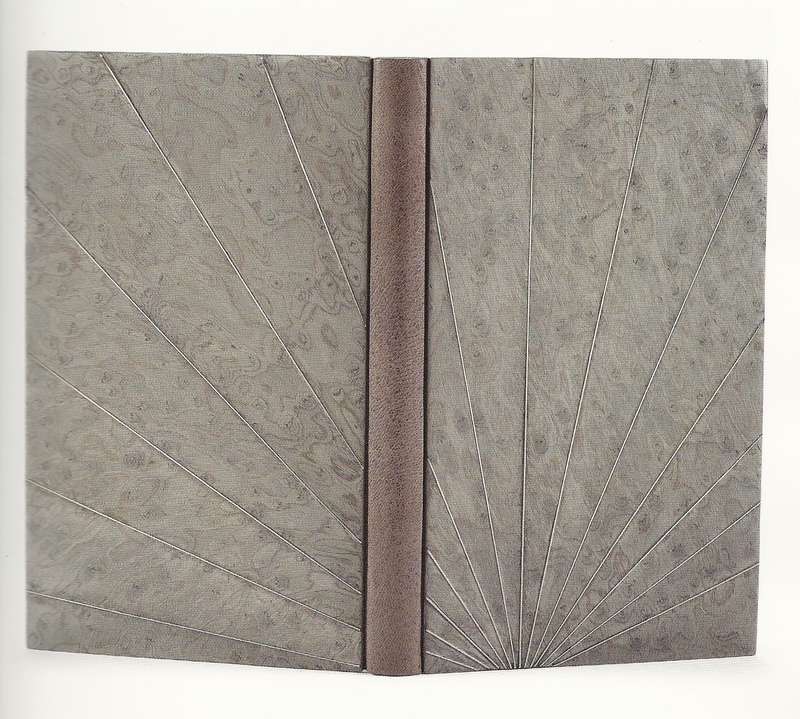 Poems and fairytales written by Estonian children, bound in a bradel style binding with a gray leather spine, gray bird’s eye maple boards, graphite edge, leather endbands, paladium title. 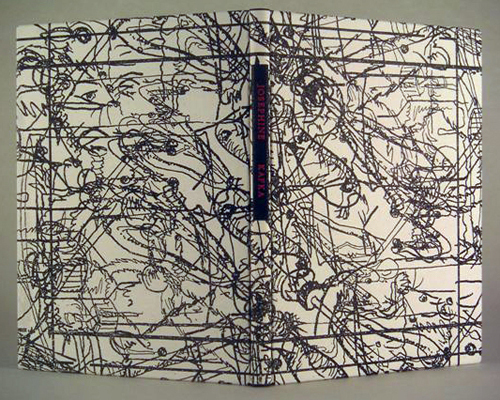 The endpapers and slip case cover are original drawings by the binder. 26.4 x 20.5 x 2 centimeters. Edward Lear, Another Nonsense Story, The Old Stile Press, GB, 1990; Dos-a-Dos structure, marbled paper binding with leather endbands. 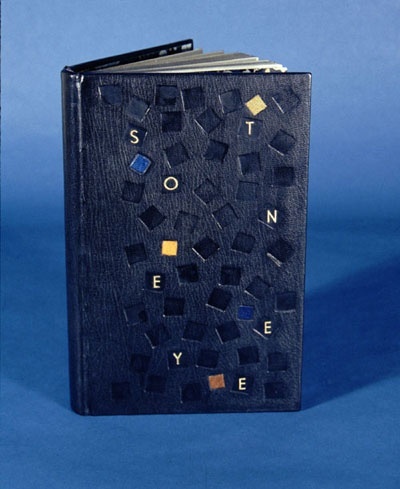 Hand Bookbinders of California exhibit 2006. John Muir. Heaven on Earth. Illustrated by Charles D. Jones. Austin: Press Intermezzo, 1998. 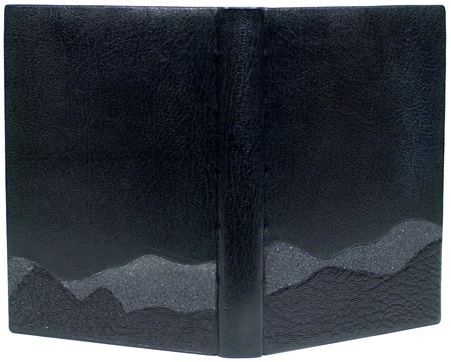 A French style binding with laced-on boards. The top edge is graphite with red silk hand sewn endbands. The book is covered in black goatskin with black emery paper and black morocco onlays, traditional chemise and slipcase. Richard, I would not have bought the book if it had not had a text that was important to me. Gaylord’s amazing art and Cathy’s stunning binding would not have been enough. Thank you, fellow NYer. There are much better photos on her website, and she has promised me some others. Her craftsmanship is incredible. The Bicycle Diaries is superb. I hope I get to hold it in my hands when it gets to Harvard. I’ve yet to see it in person, but I knew I had to have it. I still can’t believe it’s mine! I am glad to see Cathy Adelman is getting her truly deserved attention. She is an absolute perfectionist with a sophisticated design sense. None of the photographs do her work justice. The careful attention to detail, the feel and mix of materials, the beauty of the subtlety are unable to be captured by the photograph. Her work is getting better all the time, and the Bicycle Diaries is my absolute favorite as well. I think, after examining her amazing online portfolio, it is the best thing she has ever done. I agree with you about the book itself. The whole package is magic. So now I’m broke, but don’t care so much. Ah, how lucky you are! The cover looks even better in real life than it does in the catalogue – there is an austere beauty about this design, a visual simplicity; the spokes give life to the background, the contrast between the whorls of the veneer and the sheen of the aluminium is heightened by reflected light – the wheel doesn’t spin, but you get a sense of how it might like to. I think this is the best book Gaylord Schanilac has done, epitome of a private press book with its balance of text and illustration, a book to read, much better in my mind than Silva or Mayflies. Cathy was at the opening, and it was a pleasant surprise to see her there, caught thus between California and Italy.